Check out a low cost way to produce professional test data for your fuel cell. 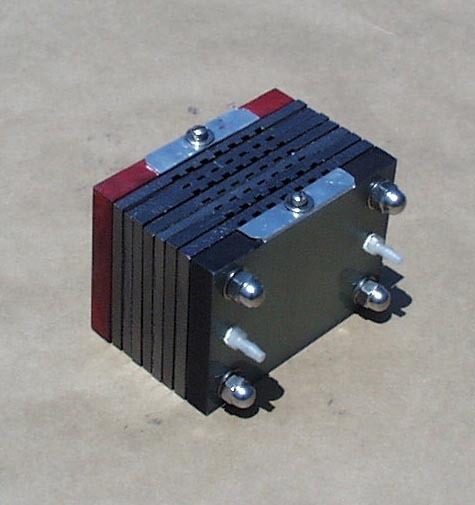 3 watt fuel cell 1.5 volts at 2.0 amps, the 3 membrane fuel cell will produce 1.5 volts at around 1 amp. To see the power output test data for 3 Watt Fuel Cell click here. To see the system diagram of a PEM fuel cell with a hydrogen bottle click here. 6 watt fuel cell 3.0 volts at 2.0 amps, the 6 membrane fuel cell will produce 3 volts at around 1 amp. 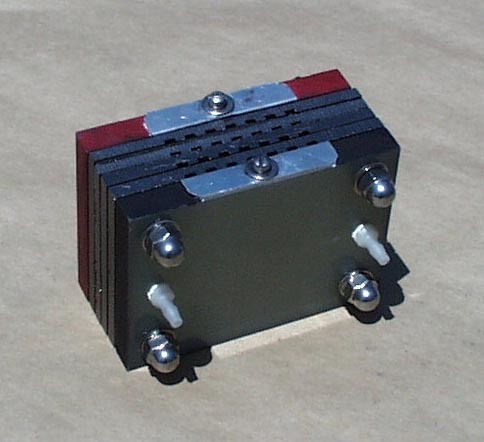 The 3,6 and 10 watt fuel cells will power larger demonstrations, and can be used in remote power applications. They require a forced air housing or a fan to provide an adequate air flow and a hydrogen source, either bottle or electrolyser, see accesories page. E-mail us for availability and pricing on other sizes. See how the fuel cell will be the Power to Change the Future. 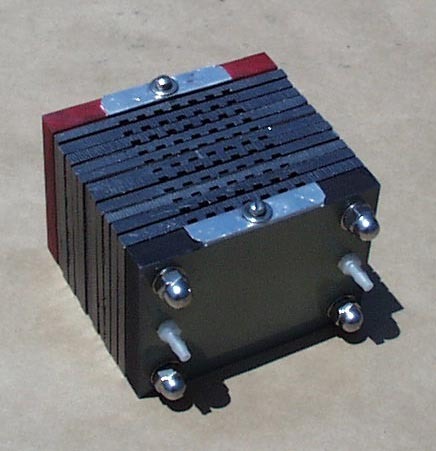 The High-Power Fuel Cells are available in power ranging from 25 watts to 2,000 watts. E-mail us for pricing and availibility. Please e-mail us with any further questions on fuel cells, hydrogen energy and timelines for the availability of residential fuel cells. Please do not send attachments with e-mails without first contacting us. We will not open any unsolicited attachments to e-mails.